Shelley is a friendly and knowledgeable massage therapist. Shelley completed her training at Australian Institute of Massage Elsternwick campus. Shelley is a member of the Association of Massage Therapists. Shelley is experienced in treating a wide range of conditions including headaches, neck and back pain, sciatica and muscular aches and tightness associated with overuse or poor posture. Shelley incorporates some form of relaxation techniques into her treatments ensuring the clients experience is enjoyable and relaxing. 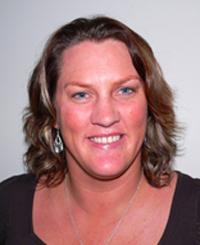 Shelley enjoys treating people of all ages and has a particular interest in treatment Sports related injuries. A remedial massage treatment with Shelley may involve a variety of remedial massage techniques such therapeutic deep tissue, sports, trigger point therapy, pressure point therapy and myofascial release as well as stretching (PNF). Shelley’s nature and enthusiasm, coupled with her commitment to the wellbeing of her patients, make her a valued Massage Therapist to Eclipse Therapies.